Alejandra Proaño has worked on issues around anger and violence with women, men, families, and organizations in Canada, Mexico, Colombia, and in her home country of Ecuador. She facilitates groups and sees individuals, couples and families. With more than 18 years of experience in the field, she is also a published author, international consultant, speaker, and professional coach. She facilitates the women’s groups, which start approximately every 7 weeks, and co-facilitates some of the men’s groups with Moose Anger Management. Alejandra has a BA in psychology, a Specialization in Systemic Therapies, and a Master of Psychology degree. She also has a Master of Science degree (Technology Management) and a Master of Arts (Literature). But most important, her life has been a journey. She has done lots of personal work in order to compassionately overcome her own trauma and destructive anger. Her current work (and previous research) includes therapeutic writing; reflective teams; somatic work and mindfulness. Some of the approaches she is familiar with are systemic; collaborative; solution- focused; narrative; dialogical, and postmodern. She includes a gender and culturally sensitive lens on every aspect of her work. Her early volunteering experiences as a therapist in Quito, Ecuador, marked her with a strong sense of social justice. She volunteered in the women’s prison, in public and private psychiatric centres, public hospitals, and a foundation for children with cerebral palsy. After this, she spent 6 years working in the Human Resources sector. 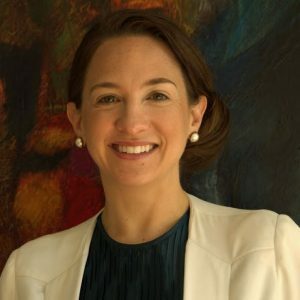 In Bogotá, Colombia, while attending her postgraduate studies in systemic therapy, she started her own private practice, worked as a psychotherapist in a government program for the social reinsertion of families displaced by war and drugs; and assessed an NGO with qualitative research methodologies. She worked as a counsellor at the psychology assessment centre for the university community, and in the facilities that the university provided to the broader public. In 2008 she traveled to Mexico City with a scholarship to complete her Master´s Degree in Literature. Here, she maintained her private practice, volunteered as a clinical practitioner at the country´s biggest center for drug treatment, and worked as a consultant, psychotherapist, supervisor, and coach at an NGO dedicated to helping women experiencing violence in the home. Since 2013 she´s been working with Moose Anger Management and Healing Anger. Her work focusses on the complexities that surround unsatisfactory relationships, with those that want to transform anger into personal growth and intimacy. In 2015 Alejandra became a certified professional coach (ICF) to bring an additional perspective to assist her clients. In 2016 Alejandra completed a Master of Psychology degree. Through conversations with Alejandra, clients gain new perspectives on the challenges facing them, which allows them to co-create a tailor-made process of change that focuses on their own resources and strengths. Having lived in 4 different countries, Alejandra´s clients appreciate her ability to work with cultural awareness, and transitions.